If you're not already making money online from your marketing efforts, I've put together this resource to help you turn that around and start seeing dollars flowing into your bank account. The concept of earning an income from the Internet has been around practically since the earliest days of the "world wide web" thanks to advertisers realizing its potential and then over time cashing in on what has become the biggest public media show after television. There are already many marketers out there who are making absolute fortunes from income generating systems they set up years ago and continue to refine, improve upon and grow day after day, week after week. But when you're at the bottom of the "pyramid" where the top few make millions of dollars every year and going down the pyramid the numbers of income earners grows as the amount the earn decreases, it can be hard to envisage yourself ever climbing to the top. But you can. Anyone can. You just need to know how and then to put into practice what you have learned. As you'll discover from the growing collection of info articles I'm expanding upon in this section of The Honest Way website, making real money is not just possible but infinitely achievable. There are many ways to do it and I'll get to them all, explaining the methods one by one in separate articles. However, there is one thing you need to learn from the very beginning that is really the most important thing you can know if you want to succeed here. Learning how to do this is not enough. You will not earn a penny unless you take what you have learned and put it into practice by doing it! That's right. You must take action and do the work to make the results you want follow on. Creating your own personal flow of wealth from the Internet can take any one or more of many forms. I'll cover the basics here, overview style so I can expand on each method or strategy in its own dedicated article. With each method, you'll need to be aware that there is work involved and sometimes, especially in the early stages, that work can seem tedious, repetitive and even tiresome! Don't be put off. The most successful marketers earning the most money all worked very hard in the beginning and did a lot of things that probably seemed boring. But they stuck at it, tested and applied, then expanded into growth starting at earning pennies then turned it into dollars, tens of dollars, hundreds then thousands! The key to succeeding is to find what works and focus all your efforts on those things. If something doesn't work, move on and try something else until you find what does work. This is where most marketers start out. Selling or promoting products or services from other manufacturers, stores or companies and getting paid commission for each sale they generate. It's a little like old style advertising, except you do that advertising on your own web properties such as websites, blogs, third party sites (web 2.0) or video. Taking the oldest and still most popular method, a website: it means getting a domain, building a content-rich set of pages on it (a website) and writing product reviews or service recommendations or comparisons that contain a special tracking link to the offer. The next step is driving traffic to your review pages. You either do that organically via search (ranking in a search engine such as Google), sending social traffic by posting in popular social portals like Facebook or via paid media (ads). The bottom line is that when a visitor to your web page sees the affiliate offer, clicks the link and buys the product, you get paid commission. You can create your own product to sell online and promote it using one or more of the methods described for affiliate marketing. That product could be a physical item such as printed mugs, tee shirts, custom jewelry or whatever you can create yourself. Or it could be a digital product such as an ebook, software package, app or training course that you created. The biggest benefit of selling your own product is that you get to keep all the profits and can potentially make more money if you can sell enough of it. If you don't want to (or can't) create and sell your own product, perhaps you have some expertise in a certain area that you can provide to people who will be willing to pay you for it. Just take stock of what you know and decide if it's something that would help others in some way and in such a way you could offer it online. The Internet is huge and varied and it doesn't really matter too much what that expertise may be. If there are people that want what you can offer them, you can make a living online providing your service. Video: People need video creation services, editing and formatting, voiceovers or complete promo packages. 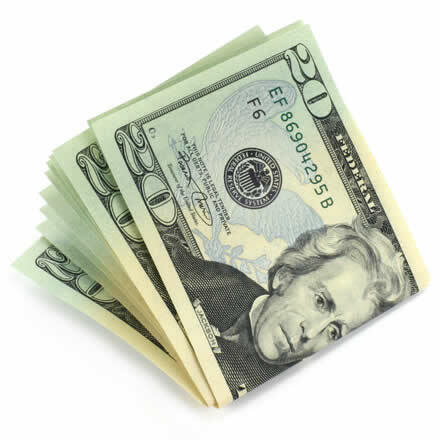 Paid Surveys: You can get paid for simply taking surveys and filling in questionnaires that marketing companies need. This is more labor intensive and the most successful survey takers happen to live in certain geo locations that are most in demand my survey marketing companies. This is not so much a separate method in itself, but more a means to make sales of products and/or services via promoting to people collected in an email list. You need to build a list to begin with, gain their trust by sending them useful information and every once in a while include a product or service you can recommend they take a look at which of course you will make a commission check if they buy. This can actually be the biggest money making strategy that exists online and in its ranks you'll find some seven and even eight figure marketers that are crushing it by becoming, themselves, expert email marketers. All the rage a few years ago, bloggers were able to make money in a number of ways from their blogs by placing affiliate links and banners and other advertising media on their blogs. It continues to this day, although competition is fiercer it is still possible to make money blogging when you know what you're doing and you have built up a big readership. To succeed in this area, you need that readership to be consistent and to turn up regularly and often. That means you need to post interesting, engaging and info-packed articles or videos regularly and often to engage your readers, keep them coming back for more and also providing a platform to sell them stuff from your blog. You may be wondering how I make money, especially by providing an article like this that doesn't appear to have any kind of monetization (ads or banners). I talk the talk but do I walk the walk? Well, I've been working full time online since 2006. Although I have had my ups and downs, in the last few years I have consistently made a good, full-time income from a collection of websites in a variety of different niches as an affiliate marketer. So the answer is, YES, I really do walk the walk! At the end of this article you'll find a list of further article titles based on the many and varied ways to earn money from the Internet and when you go read them, you'll find the affiliate links and banners that lead to offers that make me some money and form a part (but only a part) of my total online income. Please check them out. There's a lot of information in them and it comes directly from my own successes in those areas as well as from colleagues that I am in regular contact with (we physically meet regularly to exchange ideas and strategies).